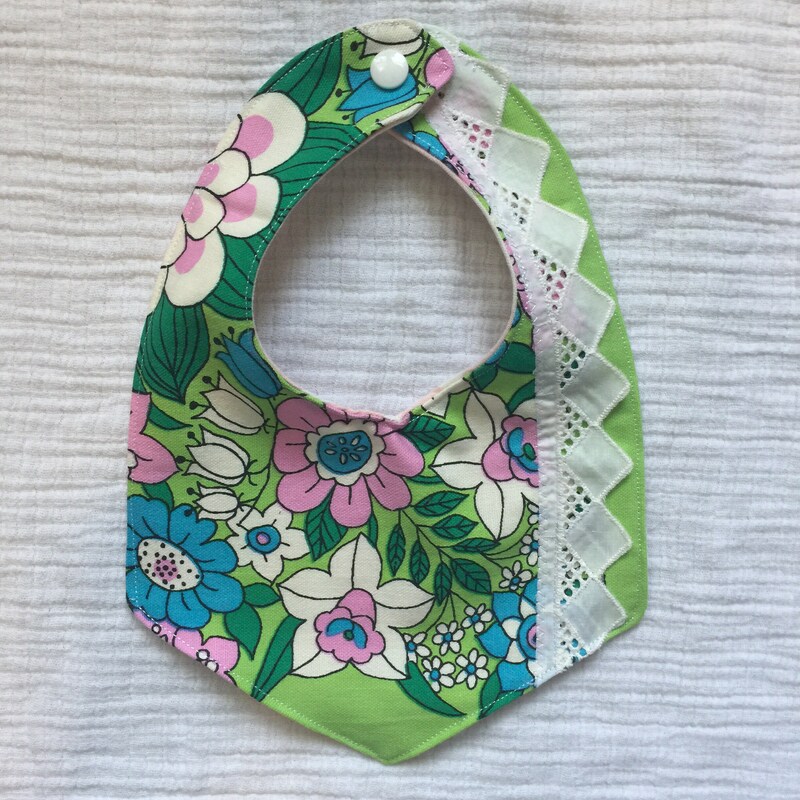 Boho style handmade baby bib with vintage lace trim. Snap closure. 3-24 months. 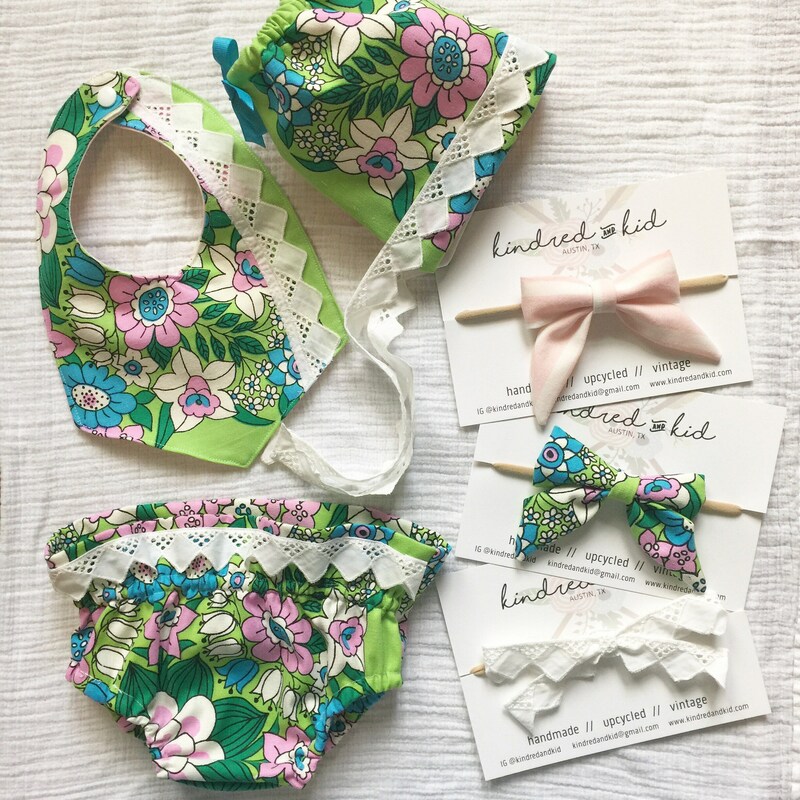 Matching bloomers and bows available! 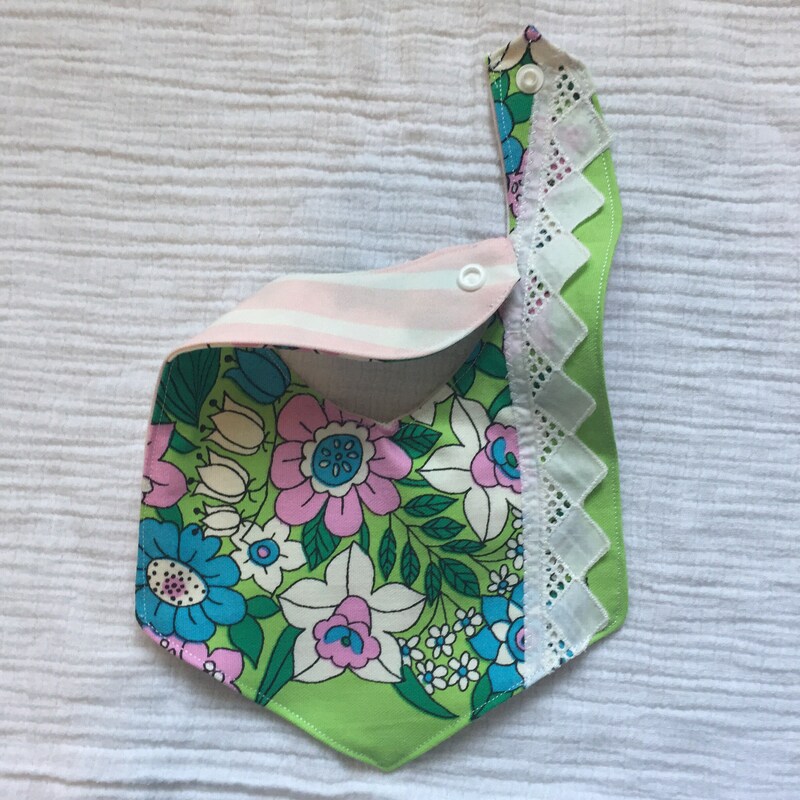 Please do not leave children unattended while wearing bibs.